How are Material Transported Throughout the Body? ATRIA - The word "atrium" comes from the Latin word for "entrance". The atria (plural for atrium) of the heart function to RECEIVE blood. VENTRICLES - The word "ventricle" comes from the Latin word for "belly". This origin probably comes from the fact that the ventricles of the heart are the larger of the 4 chambers. They are muscular and perform the rhythmic contraction and relaxation of the cardiac muscle that creates the "pumping" action of the heart. The ventricles function to SEND blood out of the heart. 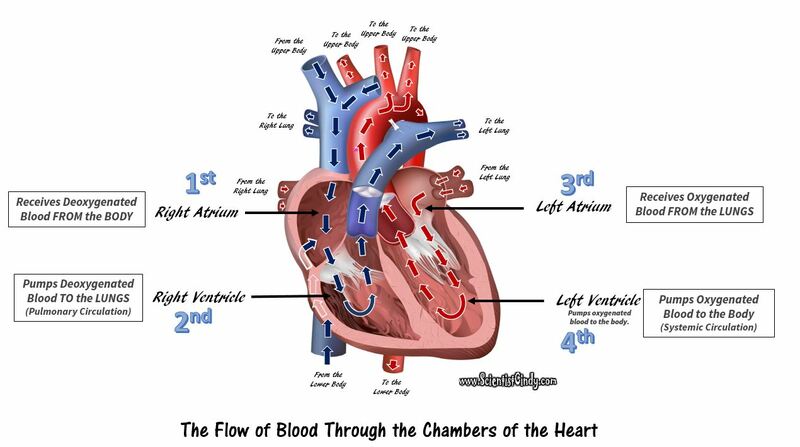 An Animation of the Flow of Blood Through the Chambers of the Heart and the Pulmonary and Systemic Circuits of the Circulatory System. The right atrium receives the deoxygenated blood that has traveled through the body. From the right atrium, the blood travels to the right ventricle. When the right ventricle contracts, it pushes the deoxygenated blood out of the heart and sends it to the lungs. 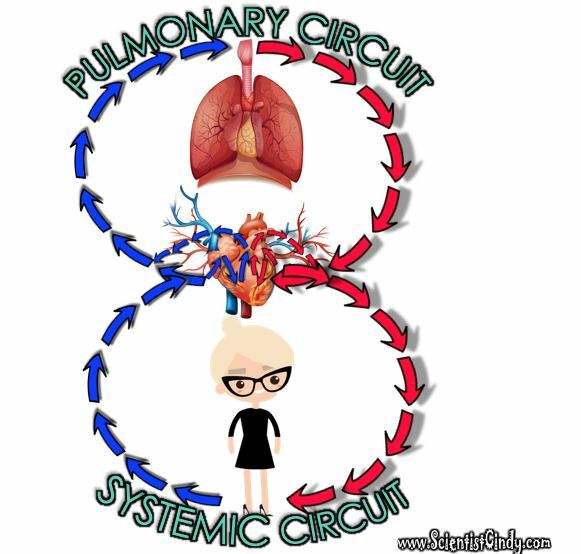 (This is the pulmonary circuit). As this blood passes by the lungs, it picks up oxygen and gets rid of carbon dioxide. ​ The function of the heart valves is to assure that blood flows in only one direction through the heart. When there is an increase in pressure of the blood, that pressure acts to push the valve open. The valves only open in one direction, which prevents backflow and guides the blood to flow in the proper direction. Two of your heart valves are considered atrioventricular (AV) valves. 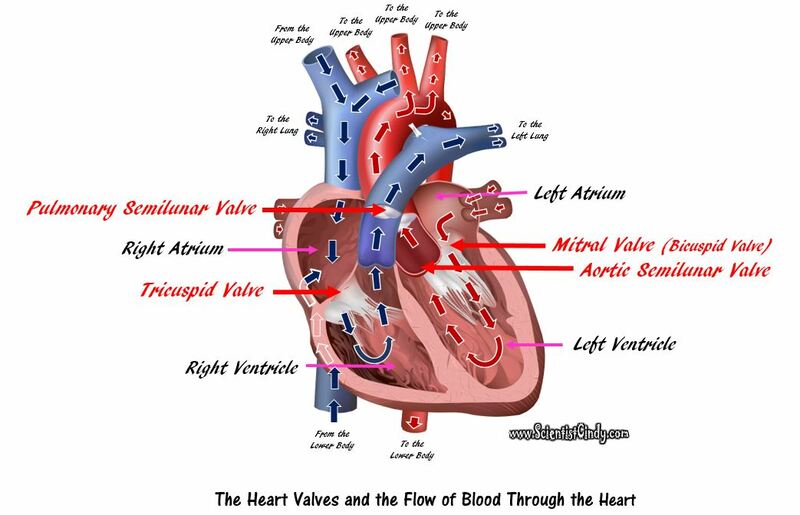 The atrioventricular (AV) valves include the tricuspid valve and the mitral valve (also known as the bicuspid valve). The atrioventricular valves, as you might expect, lie between the atria and the ventricles of the heart. The other two heart valves are known as the the semilunar (SL) valves. The two semilunar (SL) valves include the pulmonary semilunar valve and the aortic semilunar valve. The Tricuspid Valve is an atrioventricular (AV) valve that allows for the one-way movement of blood from the right atrium to the right ventricle. The Pulmonary Semilunar Valve is a semilunar (SV) valve that allows for the one-way movement of blood from the right ventricle to the pulmonary arteries (which travel to the lungs). The Mitral (Bicuspid) Valve is an atrioventricular (AV) valve that allows for the one-way movement of blood from the left atrium to the left ventricle. The Aortic Semilunar Valve is a semilunar (SV) valve that allows for the one-way movement of blood from the left ventricle to the aorta (which travel to the body). 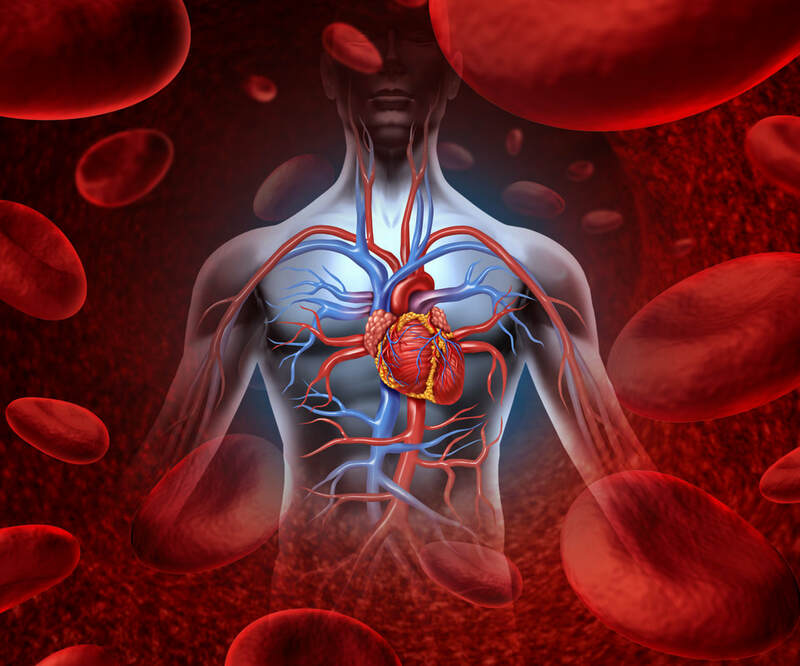 ​ Deoxygenated blood comes from the body and goes to the right atrium. The blood then travels through the TRICUSPID VALVE to get to the right ventricle. Once the right ventricle contracts, this blood is then pumped through thePULMONARY SEMILUNAR VALVE to the pulmonary arteries which will carry the blood to the lungs. Oxygenated blood comes from the lungs and enters the left atrium. The blood then travels through the MITRAL (BICUSPID) VALVE to the left ventricle. When the left ventricle contracts, the blood is pumped through theAORTIC SEMILUNAR VALVE to the aorta where it will travel to the body. The Vessels of the Circulatory SystemThe circulatory system has specialized vessels that transport blood around the body. ARTERIES = Arteries are the blood vessels that are carrying blood AWAY FROM the heart. VEINS = Veins are the blood vessels that are carrying blood TOWARDS the heart. ​The veins have low pressure and thin walls. In pulmonary circulation, deoxygenated blood travels from the heart to the lungs to gain oxygen and get rid of carbon dioxide before returning to the heart. In contrast, in systemic circulation, oxygenated blood is pumped from the heart to the body and deoxygenated blood is returned back to the heart. The circulatory system exists to transport the blood. ​The blood has 3 major components. 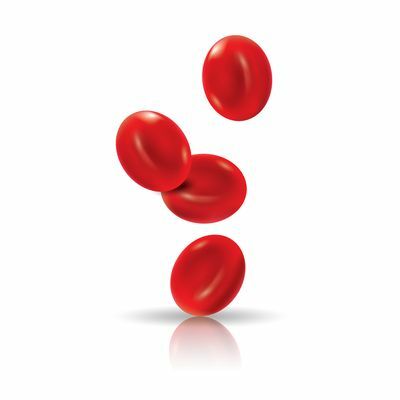 The proper name for Red Blood Cells is Erythrocytes. Red blood cells are short-lived and do not have a nucleus. The main function of the erythrocytes is to transport oxygen and nutrients to the cells of the body and to take away unwanted waste products and carbon dioxide from the cells. Deliver oxygen to the cells of the body. Take away carbon dioxide from the cells.